Pet adoption is one of the most gratifying and worthwhile experiences many of us will ever have. Unfortunately, it can be easy to let yourself get carried away and to adopt a new companion without fully considering the responsibility that is entailed. What follows are 7 financial truths that every dog lover should be aware of. Every veterinary professional will cringe at the words "free dog." There is no such thing. Every animal you adopt will require food, yearly wellness care and possibly unexpected medical expenses. When making the decision to add a new furry family member to your home, you should keep in mind that even the healthiest dog could cost an average of $500 in veterinary expenses each year. Adopting a dog is not something to be taken lightly. Sure, Great Danes and Mastiffs are cool. But if you live on a teacup poodle budget, maybe you can postpone adopting a large dog until you are more comfortable. 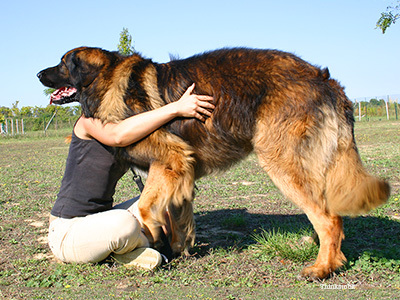 Most things are proportional in veterinary medicine: big dogs need larger doses of medications and larger amounts of food. Trying to keep costs down by not spaying or neutering your dog is one of the biggest mistakes you can make. Spaying your dog eliminates the risk of a life-threatening infection of the uterus called pyometra. In addition, spaying before the first heat cycle can eliminate the risk of breast cancer. Both conditions require — you guessed it — costly surgery. Neutering your dog eliminates the risk of testicular cancer, helps prevent prostate diseases and reduces the risk of testosterone-driven girl-chasing incidents. Is anybody really surprised that an un-neutered male dog, who roams off leash, might eventually get hit by a car while running after a cute female? Removing a small skin lump is logically less expensive than removing a mass that is large enough to require its own zip code. In addition, surgery is much less invasive early on. Regular dental cleanings are cheaper (and less painful) than a major dental procedure. Preventing internal parasites (e.g. worms) is cheaper than treating their consequences, such as vomiting or diarrhea. Preventing external parasites (e.g. fleas) is cheaper than fighting their effects, such as skin irritation or infection. Nipping small health problems in the bud is cheaper than treating the full-blown disease. Vaccinating your pet is always much cheaper than treating any of the diseases vaccines prevent so effectively. In addition, some of these diseases, such as the one caused by parvovirus, can be deadly. Treating diseases like those I mentioned above can cost over 100 times the preventive care cost — not to mention that you can lose your dog altogether. Veterinarians have to shake our head in disbelief when we hear stories from dog guardians who take chances, both with their dogs and their money. Is it such a big revelation that a big goofy Lab might “counter surf,” eat your unattended Thanksgiving turkey and get an intestinal blockage from all the bones? Pet proofing your house is very important to try to prevent the need to surgically remove something that your pet should not have eaten. Proper nutrition can prevent health problems and large expenses. Life as a dog owner can be tough, but by taking the proper steps, you can help alleviate the financial burden and take proper care of your loved ones.